On Friday 22 November 17 monohulls and one multihull will line up for the start of the Royal Akarana Yacht Club Round White Island Race. The popular 320 nautical mile race starts off Orakei Wharf in Auckland, north to Channel Island then south to the volcanic White Island before heading back to Auckland for the finish. This year several boats are using the race as a qualifying event for the 2014 Round North Island Race which starts in February. 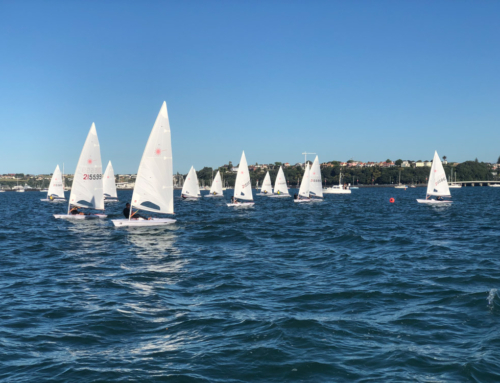 The newly launched Volvo 70 Giacomo is amongst the fleet and having only done one major race and a handful of Wednesday and Friday afternoon races to date, are excited about their first long race together as a crew. Owner and skipper Jim Delegat is keen to let the crew stretch their legs. “The majority of the crew for White Island are those that we coming with us for the Sydney Hobart so I’m looking forward to doing some miles with the guys. There is definitely a brains trust on board so it’s going to be a bit of fun! ” said Delegat. “I’ve been told that the White Island race is an inspiring one. Sailing around a volcano is always a bit different,” continued Delegat. Giacomo is the only New Zealand entrant in this year’s Rolex Sydney Hobart Race and will represent Royal Akarana Yacht Club. Christiaan Arns who is helming his Beneteau First 44.7 Notorious with six other crew, was spending Thursday putting the finishing touches to the boat in preparation for the race. “I’ve done this race a few times now but have never managed to get to White Island when the sun is up! I cannot confirm that it even exists as I’ve never actually seen it!” laughed Arns. Josh “Booboo” Tucker and James “Westie” Horner are one of the boats using this race qualifying for the Round North Island Race on their Ross 950 Pepe. “Going upwind is going to be a challenge but it’s that kind of training we need when we race around the North Island. So we’re not looking forward to that but it has to be done!” laughed Horner, who is better known in the sailing community as Westie. “There is definitely going to be some bonding!” said “Booboo” Tucker whilst laughing and winking at Westie. Hamish Milne sailing his “super tanker” Beale Moody Blue IV won Division 3 of this year’s Coastal Classic race and is keen to line up again for White Island. “I’ve ticked all the boxes with races in the Hauraki Gulf but have never done the Round White Island Race so I can’t wait to actually see the volcano!” said Milne. “I’m also using this race to reintroduce my wife Claire to offshore racing so it’s a win win!” continued Milne. The lone multihull in the race is inshore and offshore regular the Orma 60 Team Vodafone Sailing. Owned and skippered by Simon Hull, Team Vodafone Sailing is predicting a finish time around dawn on Saturday morning. “If the breeze stays in as predicted then we should definitely be back in Auckland early Saturday morning. A good fast race is what we’re after,” said Hull. The Round White Island Race starts on Friday 22nd November at 1000 hours from Orakei in Auckland. The best vantage point will be from the end or Orakei Wharf in Okahu Bay. Boats will be providing updates via social networking sites Facebook, Twitter and Instagram with the hashtag #whiteisland2013. This hashtag can also be used by spectators and other interested parties. Bring a mate get rewarded!